I have a few Synology NAS at work which are used for storage. I have been locking down the firewall on them to only allow certain ports from specific IP subnets. However, I still wanted to be able to ping the Synology from anywhere. 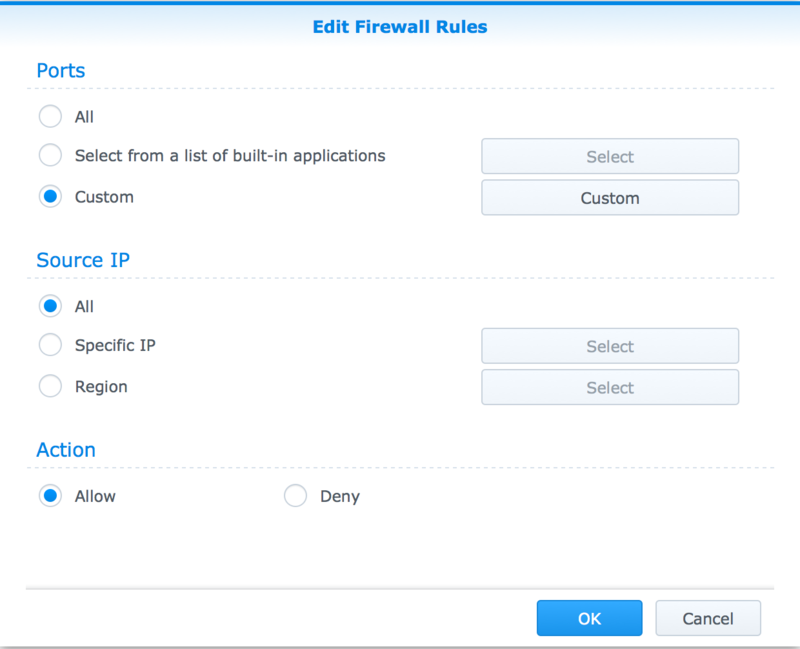 I couldn’t work out how to configure the Synology firewall to let through pings ( ICMP messages). 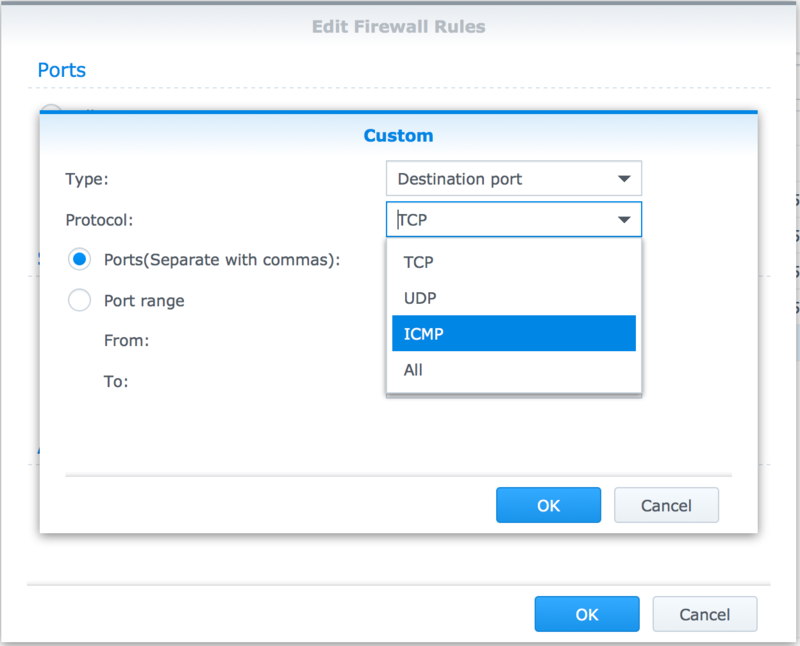 Under ports select Custom and then under protocol select ICMP. Press OK a few time and then Save the firewall settings. You should then be able to ping the NAS without any problems. Was trying to figure this out for way too long, thanks!